ALL VISITORS MUST POSSESS PHOTO ID. Only two people may visit at a time with a maximum of five people authorized to visit per day. Each parent and/or guardian is entitled to an initial visit following a youth’s detention. Initials visits may take place between 3:30 p.m. and 8:30 p.m. excluding scheduled meal time, and are for 30 minutes. Youth deemed a security Level 4 will be seen by appointment during these hours. An initial visit must be completed within two days of booking. Regular Visits: (Sundays: 12:30-5:00 p.m.) With a maximum visit of two hours. Authorized visitors include parents, legal guardians & stepparents. Grandparents (if case relevant) and persons standing in loco parentis must have PO approval. Spouses must be over 18 years of age, have PO approval & provide marriage license. At the time of any visit the visitor must provide a current form of identification, a drivers license, ID card , passport, U.S. Government, Military Id, or permanent resident card are the only forms of identification allowed. Sisters, brothers, aunts, uncles, nephews, nieces, sons and daughters are not authorized for regular visits (unless PO and Duty Supervisor have approved due to special circumstances). 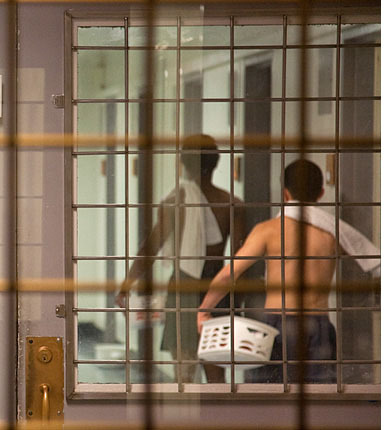 Visits for detained youth with children must be approved by the Deputy Probation Officer and Juvenile Hall. Visits are scheduled by appointment on Saturdays for one hour between 1:00 p.m. and 5:00 p.m. All visits will end at 5:00 p.m. regardless of when they started. Babies must be accompanied by an approved visitor. Special visits can be authorized for family illness, death or other circumstances. Arrangements are coordinated with the PO and the Duty Supervisor. Visits will last 2 hours maximum. Arrangements are coordinated with the PO and the Duty Supervisor. Anytime, providing minor signs Attorney Visitation Form prior to meeting with attorney. Attorneys must possess photo ID and BAR card. All visitors shall abide by the following guidelines while visiting in the institution. Persons who fail to abide by the dress code will not be allowed entrance into the facility or may have their visit canceled upon discovery of the violation. It shall be at the discretion of the Duty Supervisor to determine the appropriateness of any attire not specifically prohibited in this policy. Clothing that could be designated as “gang related” including, but not limited to red or blue shirts, jackets, hats, belts, etc. with insignias or initials. Clothing or accessories which display obscene or offensive language or drawings. Clothing which exposes body parts or inappropriate tattoos of the visitor or that the Duty Supervisor deems inappropriate. This includes, but is not limited to mini skirts, tank tops, strapless or “spaghetti” strap tops, unbuttoned shirts, low cut tops or undergarments that are exposed. Hats (except with prior approval from the Duty Supervisor).